Item # 309543 Stash Points: 2,795 (?) This is the number of points you get in The Zumiez Stash for purchasing this item. Stash points are redeemable for exclusive rewards only available to Zumiez Stash members. To redeem your points check out the rewards catalog on thestash.zumiez.com. 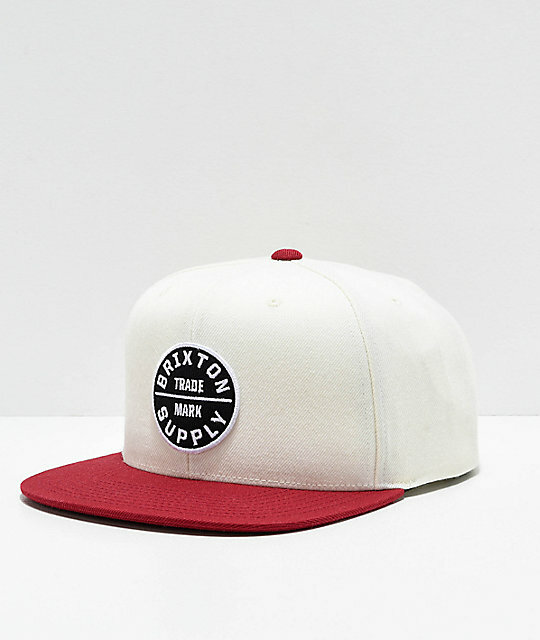 Top off your daily looks in clean and classic fashion with the Brixton Oath III White & Burgundy Snapback Hat. A white crown is offset by a burgundy brim and top button, while a large Brixton logo patch sits at the front crown in black and white for contrasting and clean branding and flair. 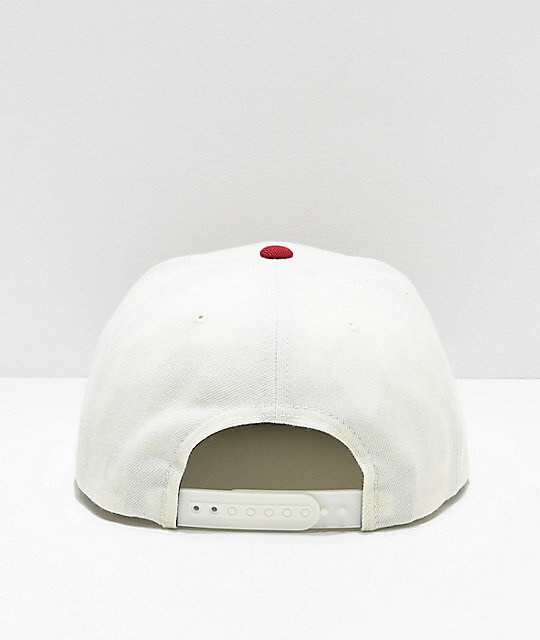 Oath III White & Burgundy Snapback Hat from Brixton. Stitched logo patch on the front crown in black and white.